This is part of our series on startup scenes working with UP Global community leaders around the world. See the whole series here. Memphis may be the biggest city in Tennessee, but it’s only the 20th largest in the country. And for the entrepreneurs there, that’s quite alright. Play-tag founder and CEO Maggie Owsley had a question for a former VP of marketing at FedEx, one of the area’s entrepreneurial legends, and was able to get connected and get an answer. 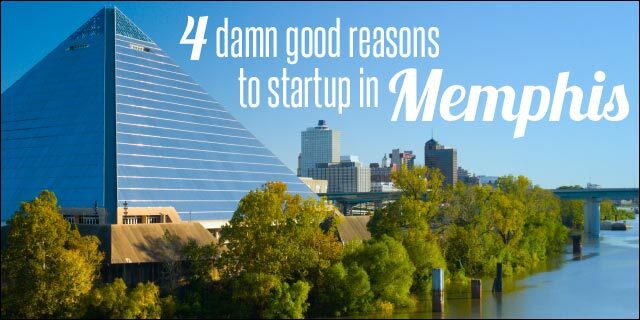 This is one of the reasons why you might choose to startup in a smaller city like Memphis. As underdogs in the fierce competition among startup scenes, and as subscribers to the idea that “a rising tide lifts all boats,” entrepreneurs there are more willing to support each other. If the warm community draws you in, you’ll be met with a growing set of resources for entrepreneurs. Support. Start Co. hosts four different accelerators, including Seed Hatchery (for web/tech startups), SparkGap (for logistics tech companies), Upstart (for women entrepreneurs) and Sky High (for social enterprises). Companies work out of the Start Co. Lab space on Union Ave. Zeroto510 is an accelerator for medical devices, one of the region’s specialties. 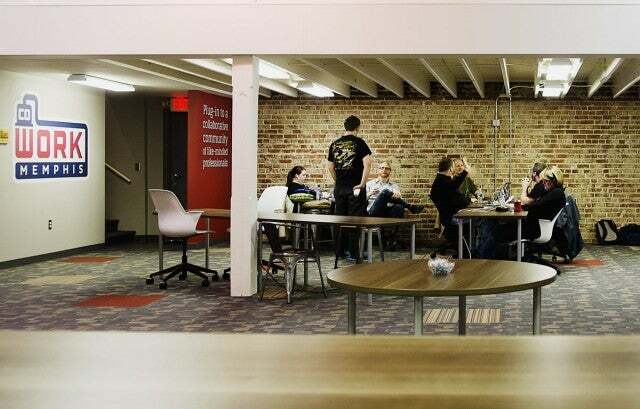 For office space, Cowork Memphis has desks for startups at affordable rates. Emerge Memphis, a nonprofit economic development initiative, rents private offices in its 60,000-square-foot space. In the broader community, initiatives like the FedEx Institute of Technology and Crews Center for Entrepreneurship at the University of Memphis, and the Society of Entrepreneurs for more established founders, offer support at all stages of entrepreneurship. And more support is coming soon. This summer, Memphis is looking forward to the opening of Forge Memphis, an art space/fabrication lab that will offer coworking and workshops. The EPIcenter (Entrepreneurship-Powered Innovation Center) is also launching in August to offer incubation, acceleration, investment, and mentorship. Events. This spring, Memphis hosted the three-day Everywhere Else Conference to celebrate entrepreneurship between the coasts. And throughout the year, you’ll find entrepreneurs at Ignite Memphis and Undercurrent, a monthly young professional meetup. But if you want the full Memphis experience, check out the city while attending the World Championship Barbecue Cooking Contest in May. 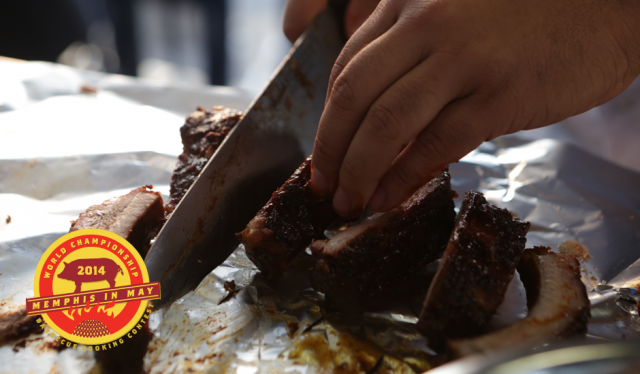 What other startup scene is home to America’s most prestigious BBQ competition? Lifestyle. In 2014, Memphis was ranked the 2nd most affordable city in the US by Forbes, with a cost of living index at 91.8. “Cost of living is a big advantage. We can do on $300K what most startups need 10x [for] if they are living on either coast,” says Jimbo Lattimore, CEO of Musistic. Other entrepreneurs cited the city’s bike and pedestrian friendliness, food scene, and outdoor activities. “For the adventurous, you can kayak on one of largest rivers in the world just as easily as you can go to the gym,” says Brad Silver, CEO of Quire. Of course, Memphis startups sometimes complain about the lack of funding and scarce tech talent – but where won’t you hear those complaints? Entrepreneurs are also very aware of the entrepreneurial shoes they have to fill – shoes that belonged to local success stories like FedEx, AutoZone, and Holiday Inn. Hopefully, that will help motivate the “big little city” to become a big startup scene. Thanks to Virag Reti of Cabsolutely, Richard Batt of Screwpulp, Evan Katz of Mira, Greg Jordan of Graph Story, and Vidhan Agrawal of Urova Medical for contributing insights to this article.